Kitai-Gorod is the largest district in old Moscow that has remained relatively unchanged over the years. 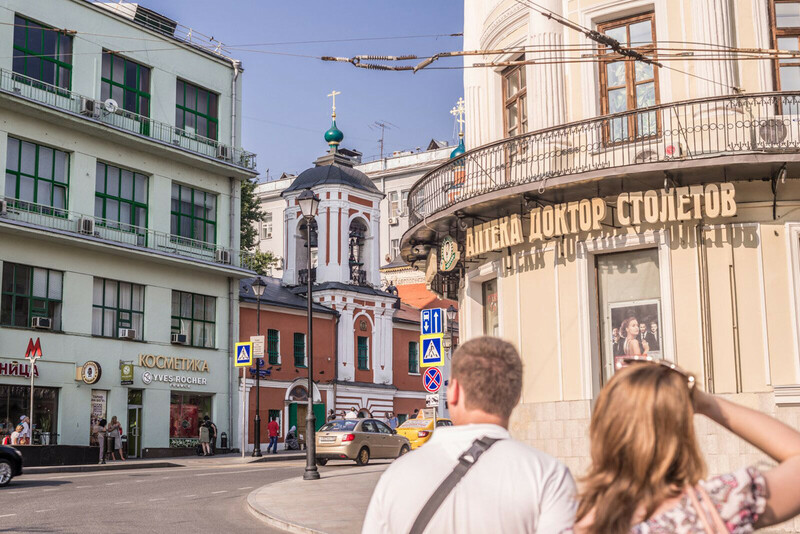 Since the area’s recent renovations in 2014 travelers have been given a chance to see old Moscow in a new light. 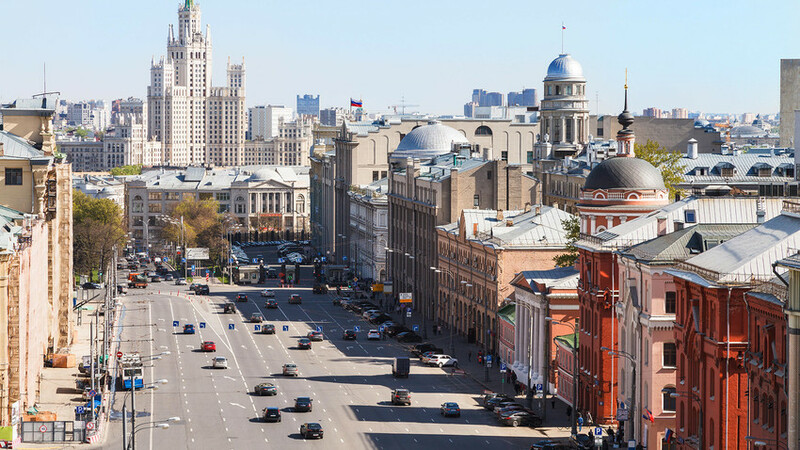 There is an opinion among residents of Russia’s capital that the plan and and architecture of “old Moscow,” from the 18th-19th centuries had been lost during the massive Soviet re-planning that occurred in the 1960s-1980s. The final brushstrokes to the city's new image were added after the demolition of several old buildings in the city center and the development of high-rise business centers in the early 2000s. However, you can still spot a count's mansion behind a shopping mall or a 300-year-old church situated in the backyard of an office block. 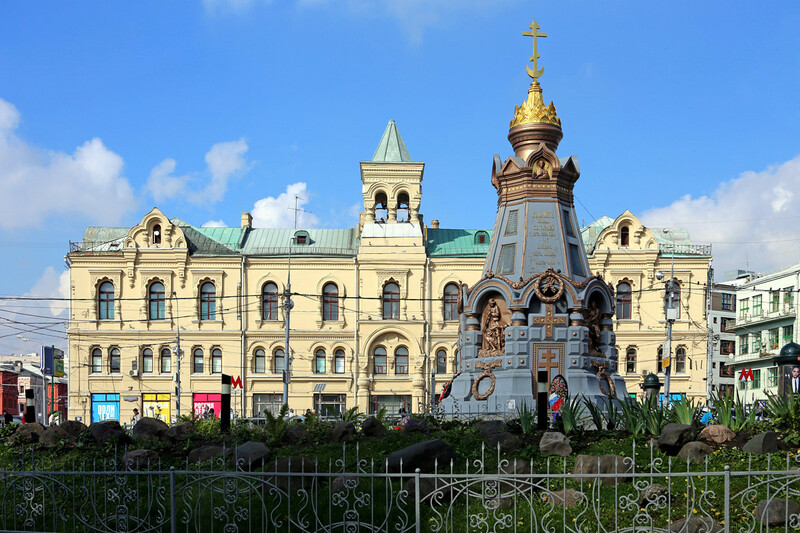 RBTH has prepared a virtual guided tour of Kitai-Gorod. The name of the district “Kitai” in Russian sounds the same as the world “China,” but there is no direct correlation between Kitai-Gorod and China. The district got its name in the 16th century when it was populated with traders and merchants. In our walk we are going to explore three new pedestrian zones along the streets of Zabelina, Maroseika and Pokrovka. We suggest starting our walk at the Lubyanka metro station (red line), as the Kitai-Gorod metro station is difficult to navigate, even to Muscovites themselves. 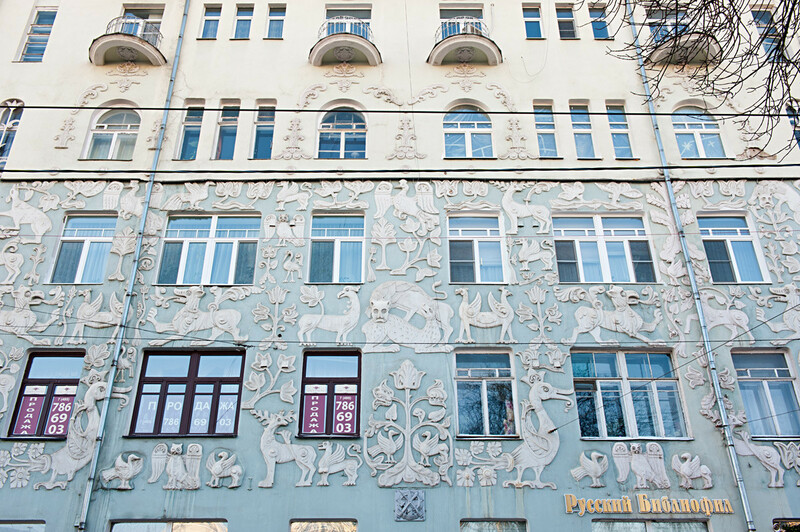 Besides, Lubyanskaya ploshchad will give you a good overview of Soviet architecture and a contrast to old Moscow. You will pass the Polytechnic Museum, built at the beginning of the 20 th century during the reign of the last Russian tsar, along the way. 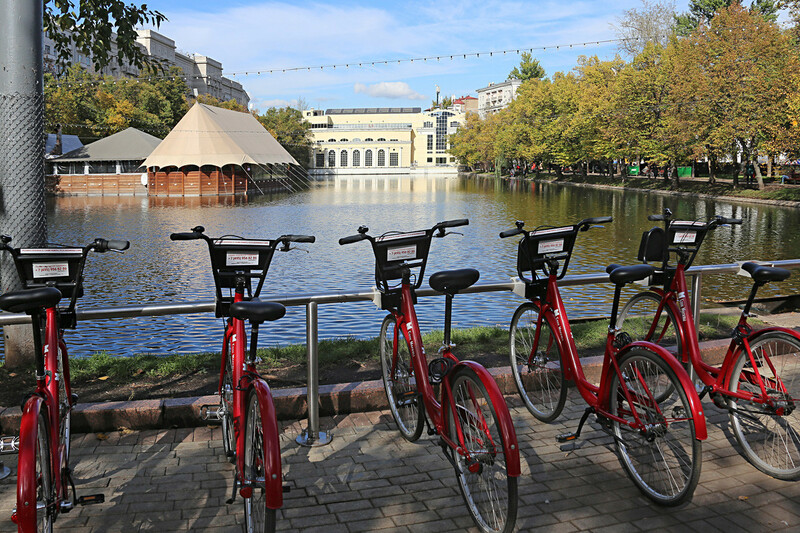 After passing the Polytechnic Museum you will come to an underground passage that will lead you into the park on the way to Staraya ploshchad. On the opposite side of the square there is a wonderful red-and-white Church of All Saints on Kulishkakh, that preserved its old Russian fairy-tale appearance over centuries. 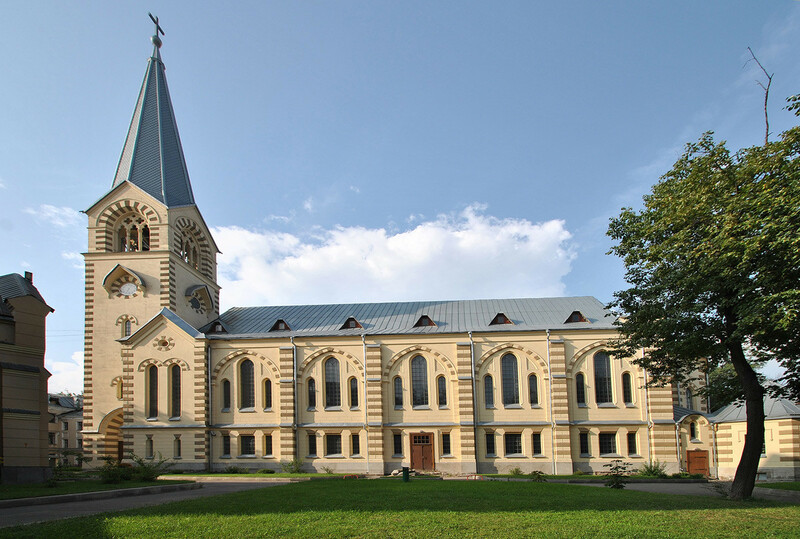 All in all in Kitai-Gorod there are more than a dozen churches that are older than 150 years. You will see many of them yourself if you have the time to wander around the area of Solyanka. 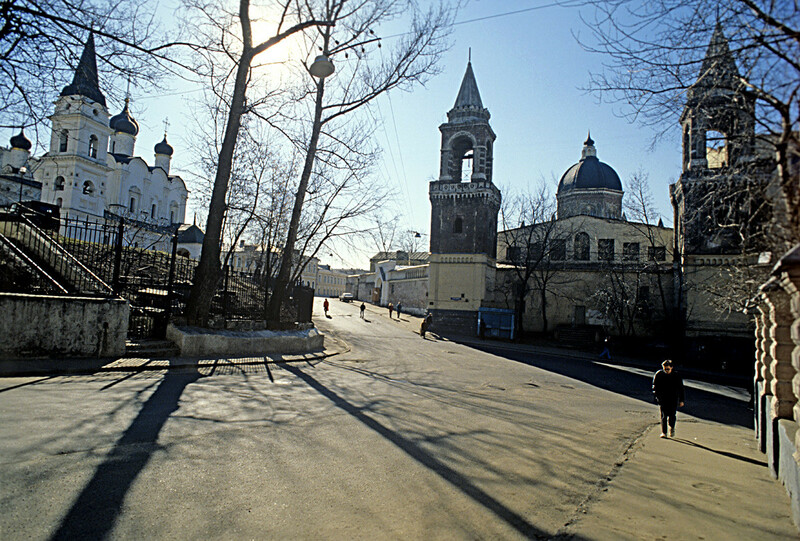 From the church turn into Solyansky proezd, which magically becomes a broad pedestrian street, ul. Zabelina. Due to its incline this street is always brightly lit up in the evening hours. 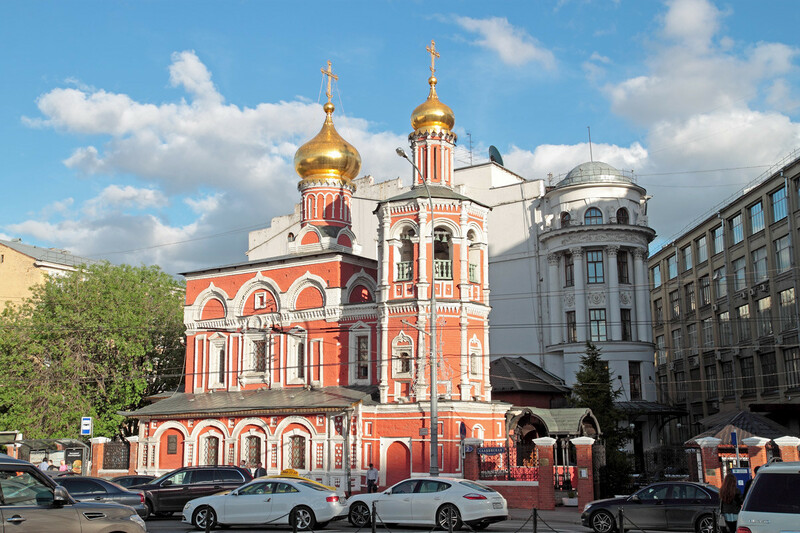 Up the street at the intersection you will see the large Orthodox Ivanovsky Convent complex built in the 1880s. It has preserved its original look and it is possible to buy fresh pastry in the convent's store. With the convent to your back, turn onto Starosadsky pereulok. In about a minute you will see the spire of the St. Peter and Paul Lutheran Cathedral Church, which appears from seemingly out of nowhere. You are free to walk around the grounds of the cathedral and at 19:00 passersby will hear the sounds of the organ. Tickets to the organ concerts cost $10-15 and are open to anyone. From the church go further straight, then turn right and quite soon you will reach one of Moscow's oldest streets, Maroseika. Although these two streets have different names, today they form one street. A year ago it would have been impossible to imagine that these streets form something akin to an open-air museum. Renovations were underway all over the place and it was hard to concentrate on historical sites with their narrow sidewalks and damaged pavement. The dusty facades of old buildings looked like one long grey stripe and there was a wide traffic area in between with constantly honking lines of bottlenecked cars. Today colorful facades overlook wide promenades that please the eyes and there are numerous cafes and stores on Maroseika and Pokrovka to keep you entertained. Continue walking and you will reach the crossroads with the tramways. Congratulations, you've reached the Boulevard Ring! Now turn left. You will probably be a little disappointed when you realize that the name Chistye Prudy (Clean Ponds) represents just one pond. But if it’s any consolation, to the right of the pond is one of the best examples of modern-era buildings in Russia - the seven-story pale green "House with the Mystical Beasts" (Dom so zveryami) built in 1908. You will not see such fantastic reliefs anywhere else - images of owls, griffins and plants were copied by the architect from the ornaments of ancient churches. 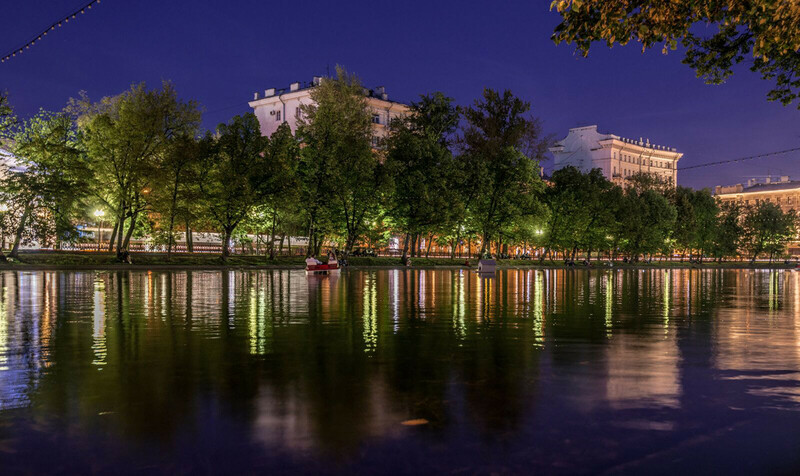 Feed the ducks, enjoy the night’s illumination and its reflections on the water and head down the boulevard, which takes you straight to metro station Chistye Prudy(red line).